Deadline is reporting that Walton Goggins—fresh off filming two seasons of HBO’s Vice Principals—has already lined up his next TV project. Goggins is set to star in Keeping It Real, a new Showtime show created by The Big Short screenwriter Charles Randolph and partially directed by The Descendants scripters Nat Faxon and Jim Rash. (That’s three writing Oscars on the show’s top staff, for anybody counting along at home.) Justified’s Sarah Timberman and Carl Beverly are also on the production team, reuniting them with their favorite backwoods criminal. Goggins will star in the series as a well-meaning but self-serving movie star, who repeatedly inserts himself into chaotic situations in global hotspots out of a misguided desire to “help.” Keeping It Real will be the rapidly rising actor’s first solo starring role, after consistently stealing the scene in pretty much everything he’s appeared in for the last decade, from The Shield to Justified to his appearances in the last two Quentin Tarantino films. 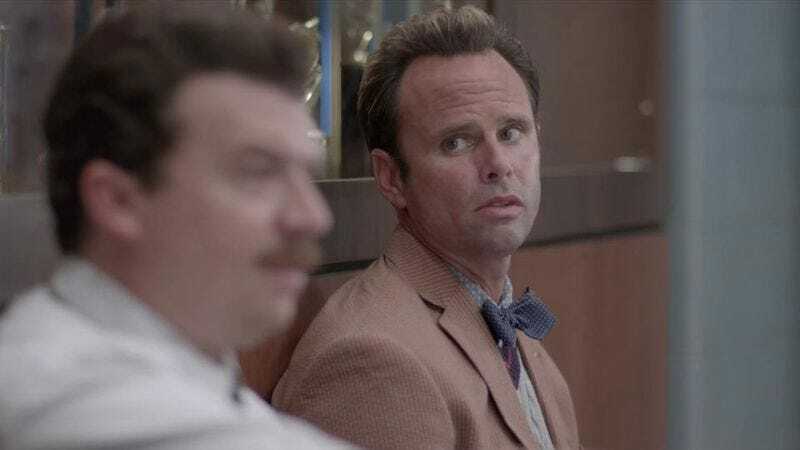 On his most recent project, Vice Principals, he shared lead billing with co-creator Danny McBride. That series recently aired its first season finale, but the show’s entire run has already been shot, according to McBride and co-creator Jody Hill.